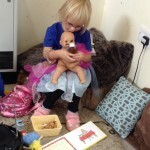 All practitioners observe all children in the setting daily using a variety of both written and photographic observations. 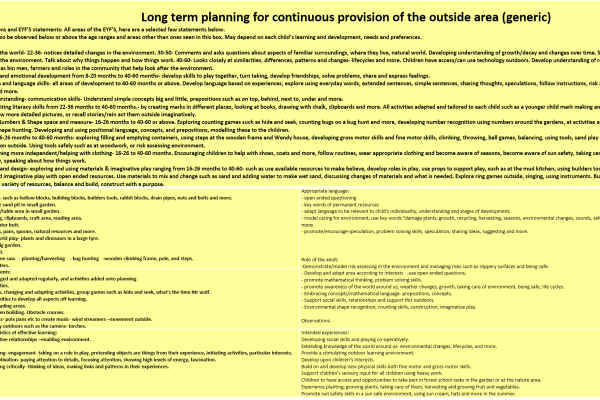 If a child is aged between 2 and 3 we will also complete a progress check at ‘2’ in the 3 prime areas: personal, social & emotional, physical development, communication & language. 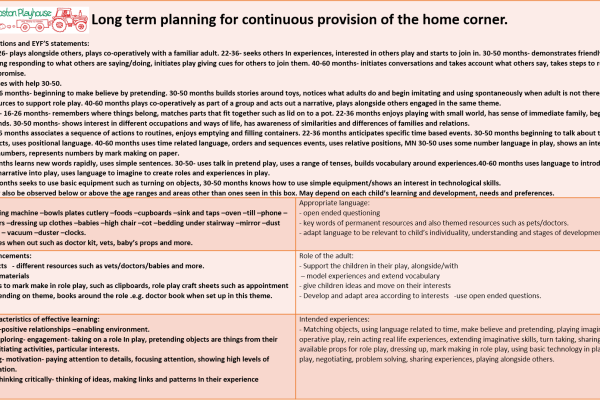 All observations are shared with the parent and help obtain a clear picture of the child’s needs and how to plan at both the setting and at home. 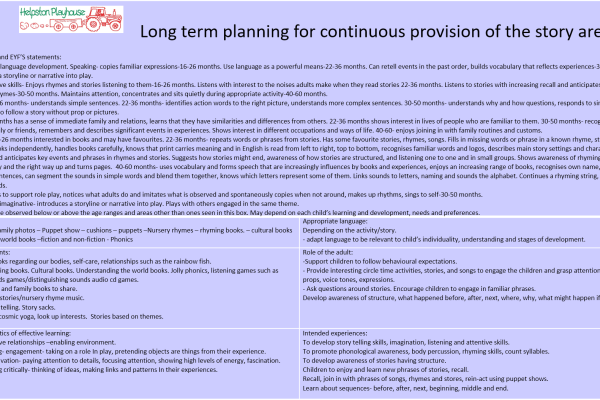 We also plan using Personal Or Possible Lines of Development (P.L.O.Ds) at least every 6 weeks to define what interests your child and how we can use that interest to support your child. 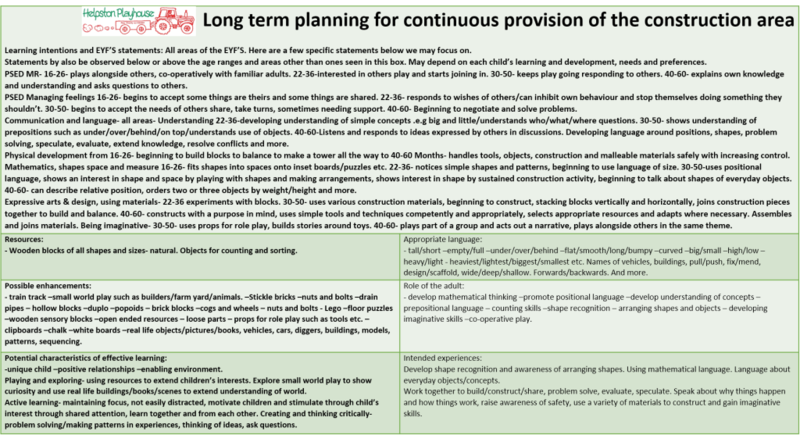 We analyse this information to assess how your child is developing and learning. 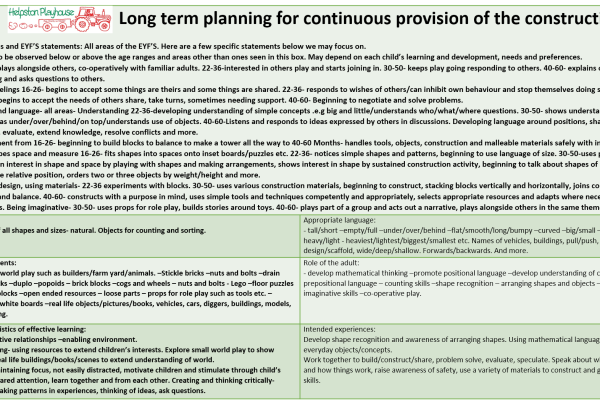 We use this to plan weekly activities that will enhance your child’s play, develop their skills and to complete each child’s individual ‘learning journey’. It is crucial we discuss, share and involve parents as you know your child best! 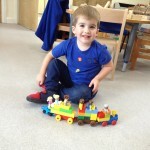 By doing so we can obtain a full, rounded picture of your child and this helps us understand how we can support their development with the cooperation and understanding of all parents. 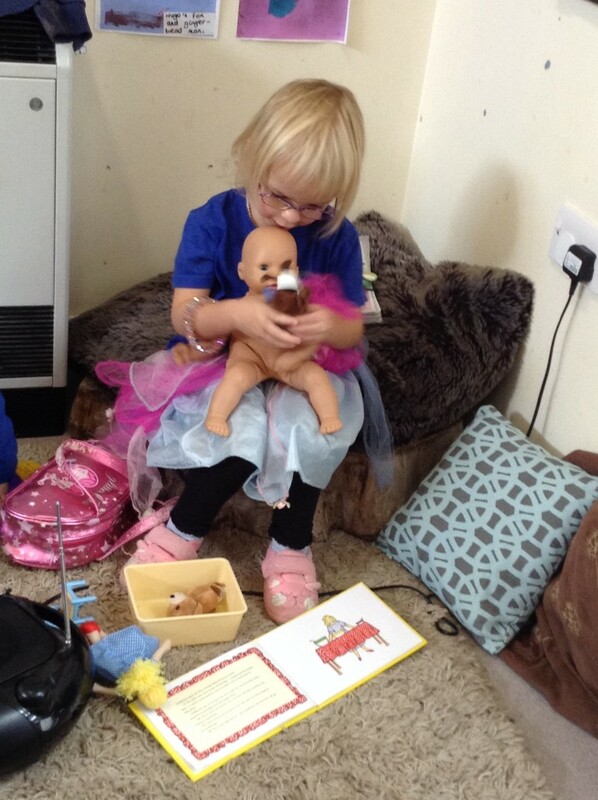 We share this information with you using our ‘home to school’ books, Tapestry and a termly one to one meeting with your child’s key person. 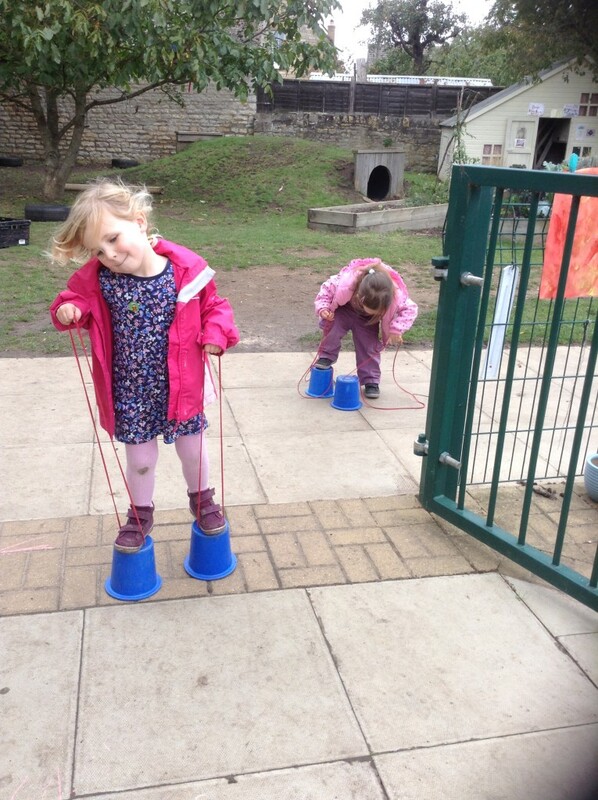 We also meet with you for Summary 1s, a final summing up and Summary 2s at the end of the summer term for all children moving up to school in the September. 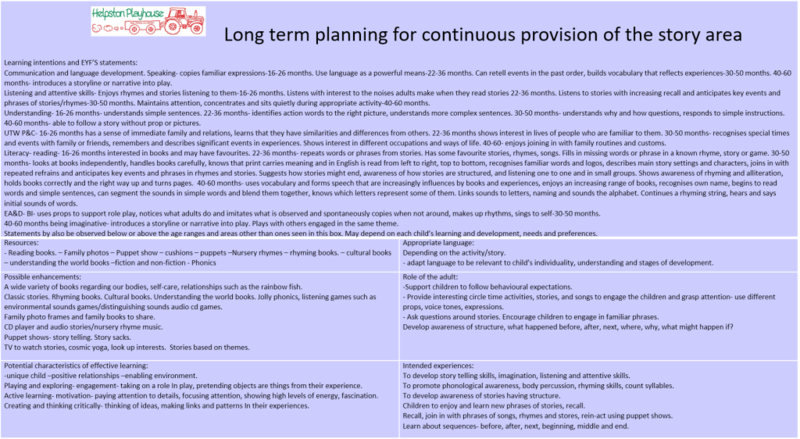 Each of the seven areas of learning and development are broken up into the following bands for development: Birth – 11 months, 8-20 months, 16-26 months, 22-36 months, 30-50 months and 40-60 months including Early Learning Goals. 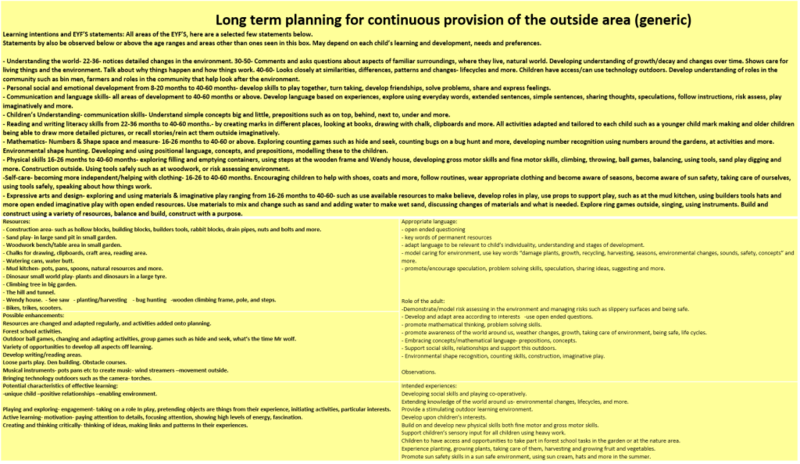 You will notice in your child’s folder these age bands mentioned on their observations. 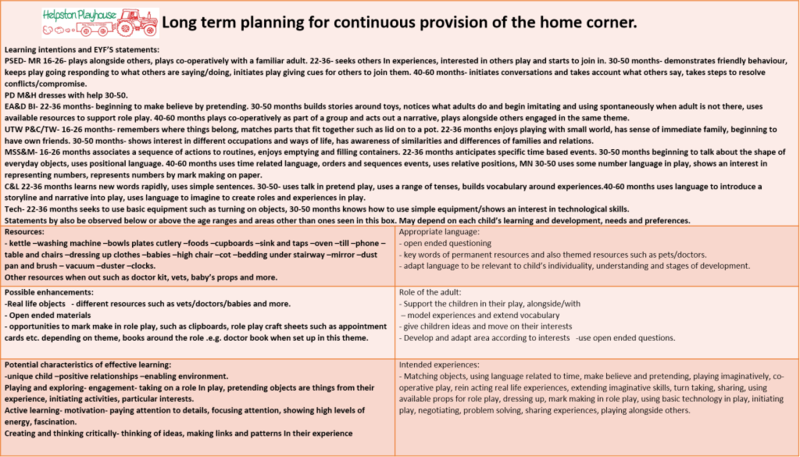 This is to help you plot your child’s development, but please note the age bands are guidelines only and not fixed with many children overlapping several stages. 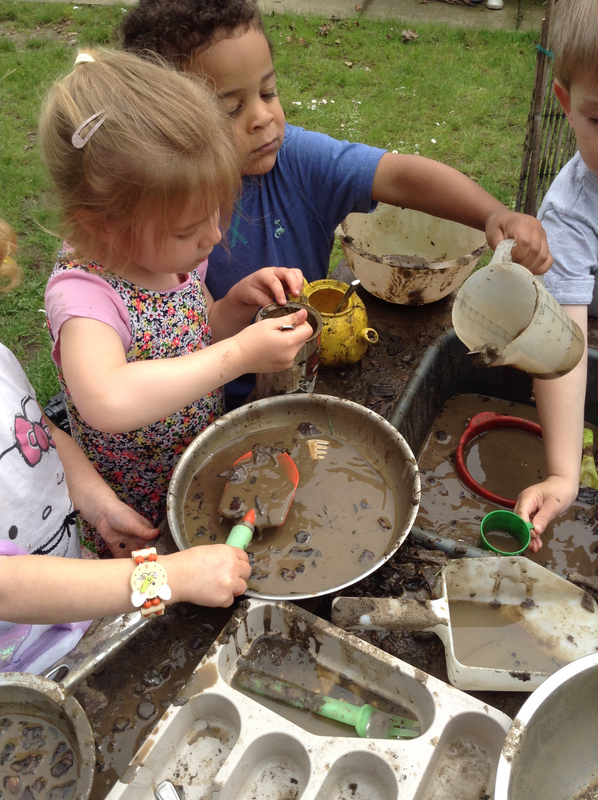 The EYFS guidance is also used by schools during your child’s reception year. 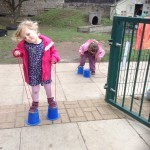 At Helpston Pre-school we are always available to discuss your child’s needs and development. 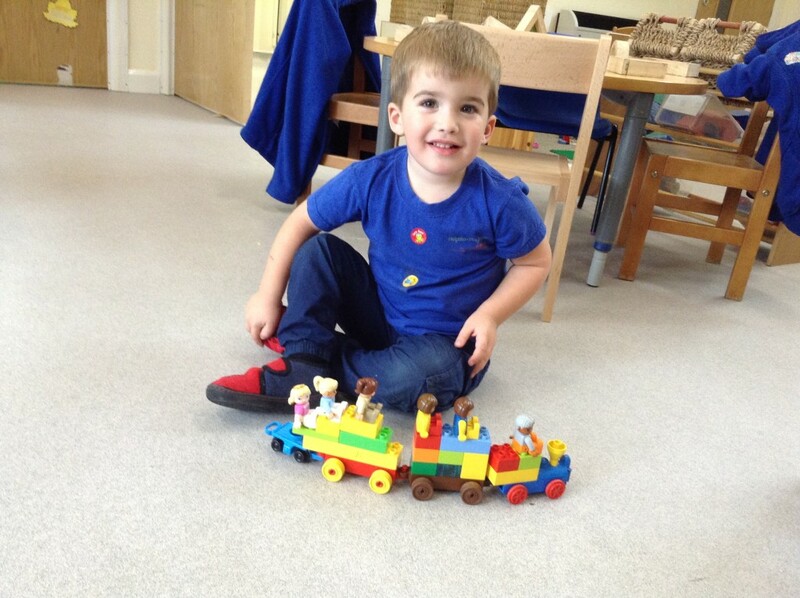 If you require further information on the EYFS or how we plan and observe please feel free to talk to us or make an appointment.